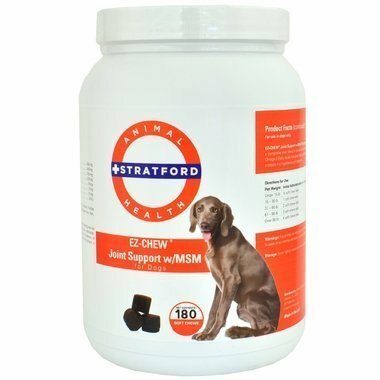 Stratford EZ-Chew Max Strength Joint Support With MSM Soft Chews for Dogs are recommended to support healthy joint function in dogs. 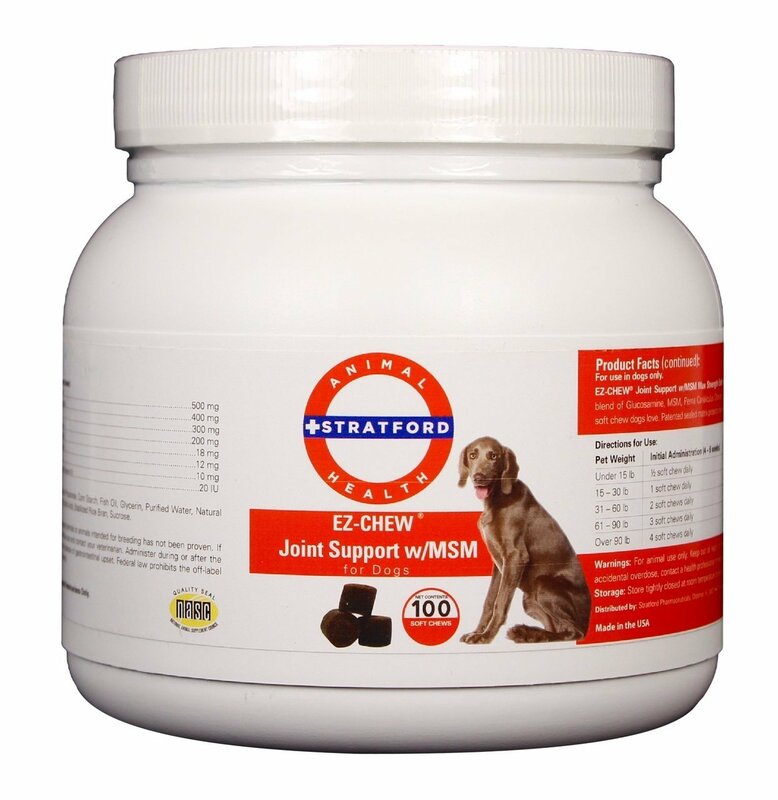 May helps alleviate the discomfort associated with normal daily activity. Includes MSM.